Copyright © 2019	Lisa Nirell. Our last two posts, The Secret Life of Customer Advisory Boards, Part 1 and The Secret Life of Customer Advisory Boards, Part 2, showcased the definition and design of customer advisory boards. Let’s say you succeeded in these first two steps in your CAB strategy: Design and Recruitment. How can you keep the CAB vibrant for years to come? Set the stage for success by creating a high-impact meeting framework and follow-up strategy. 1. Allocate ample meeting preparation time. Well-established CAB program leaders told me that it is not unusual for each executive sponsor to invest at least 15-20 hours per quarter in preparatory activity. Provide the agenda at least a week in advance to participants, and don’t be shy about requesting they complete homework in advance. 2. Select locations conducive to creative thinking and collaboration. Choose modestly upscale retreat settings over over-stimulating adult playgrounds. The managing partner of a management consulting firm based in Seattle recently chose Las Vegas for an upcoming advisory board meeting and began to reconsider his choice of location. 5. Engage seasoned external CAB experts. According to Luc Vezina, VP of Product Management and Product Management at Kinaxis, “it really helps to have an outside facilitator. 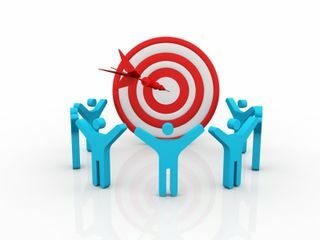 We feel uncomfortable telling a very loud customer to allow time for other members to contribute.” Luis Ramos, CEO of The Network Inc., suggests “A facilitator is seen as a neutral party. This encourages open participation and allows members to feel less pressure from the company concerning their responses.” Consider hiring companies such as The Geehan Group and Advisory Board Architects to minimize costly trial and error. Both companies have launched and managed over 100 advisory boards. (full disclosure: I have no financial ties to either firm). 6. Create positive forums for interaction. Ian Knox, VP of Worldwide Marketing for Daptiv, a privately held technology company based in Seattle Washington, suggests smaller lunch breakout groups and discussion topics. Daptiv also invites well-known industry analysts as guest speakers. Some B2B organizations have customers who are very comfortable with virtual meetings. Chris Pick, VP of Marketing for Apptio, designed the CAB to help CIOs run IT more like a business. Their audience feels comfortable using web-based collaboration tools. 7. Implement the best ideas. You want the CAB members to feel heard and valued–respond quickly to their recommendations, and implement the best ones. Every CAB host also shared meeting minutes immediately following the gatherings. 8. Maintain strong follow-up systems. Betty Otter-Nickerson, President of Sage Healthcare in Tampa, Florida, recommends virtual web-based monthly meetings. Beware of becoming overzealous with technology. Depending on their learning orientation and preferences, your advisory board members may not prefer crowdsourcing tools and online forums over live face to face meetings. 9. Aim for transformation, not just conversation. The key to CAB longevity is engaging your members in different and deeper ways over time. If you are effective at adding more value to their business lives during each meeting, you will notice that they start helping you solve really tough issues. CAB members naturally begin to care as much or more about the individuals as they do the companies. 10. Conduct meaningful ROI analysis. Colin Gounden, the President and Chief Marketing Officer of Integreon, tracks the growth rate of customer advocate growth and innovation that is spawned by the group. John Fuller, Toro’s Product Manager for the Irrigation Golf Business Division, tracks both the number of individual product improvement submissions received and attainment of year to date product sales goals. By the end of Toro’s latest fiscal year, they exceeded product sales goal by twenty percent. Fuller says “we would have probably met these goals without the Council, but it would have taken significantly more time. Furthermore, our R&D costs would have been higher.” Huang Vuong, CEO of Unisfair, measures customer retention and renewals. Since they launched the Customer Advisory Board in 2009, this technology startup saw retention and renewals for their tier A accounts grow 20% year over year. READER BONUS: We had this exclusive interview with Chris Smith, Founder of Arryve Consulting, on launching and sustaining strong CABs. In this 33 minute audio, Smith shares the reasons why this 45 employee firm launched a CAB, and the powerful business results it has generated after just three years. Copyright 2011, Lisa Nirell. All rights reserved. We recently surveyed our CMO members across North America to find out where they want to improve in 2015. One of the top 4 issues that CMOs want to address is their ability to manage priorities. In my opinion, this issue isn’t just about time management. Sure, that is important. I believe we need to be fully aware of how we spend our time—and I talked about it extensively in my latest FastCompany post…. With the new year only weeks away, it’s time to explore ways to stay ahead of the marketing curve in 2015. In my latest FastCompany post, I share how marketing leaders can move away from “order taking marketing” and become visionary “market makers” with a strong voice in the C-suite. You can read the entire FastCompany post here…. 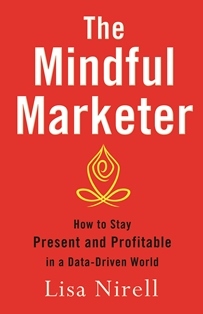 Get a snapshot of your organization’s mindful growth planning and marketing. Lisa is an enthusiastic, enlightening professional. The time you invest with her, or any one of her many seminars, pays terrific dividends. Her quick mind and search for less obvious solutions to difficult problems makes her an excellent resource.